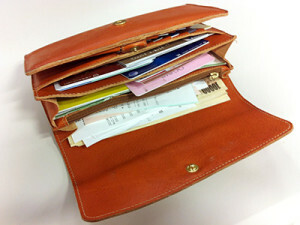 Wallet is a one of important tool as a lucky charm of money in Japan. The colour, material of wallet and inside of it control luck of money. Japanese believe that these seven things cause luck of money. putting extra money inside your wallet because, money attracts money. Power stone is so popular to Japanese celebrity. In fact, it has powerful result. 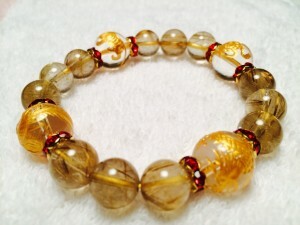 tiger eye and rutile are well recommended. 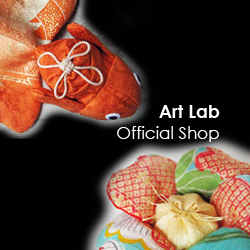 There are many lucky charm, which is sold at temple. It causes good luck if you put it inside of wallet. gold colour cause good luck of money. putting gold card or gold lucky charm in your wallet. Since old time, this is a good luck charm of money. Some Japanese business owners searched it in the mountain and put it in their wallet. 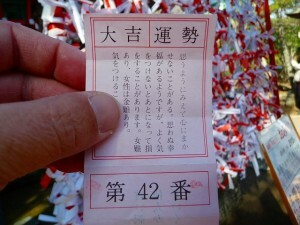 Young Japanese girl believe that putting Omikuji, an oracle written on a piece of paper, in their wallet cause good luck. Especially, The great good luck result paper cause good luck well. According to feng shui, the bell cause a luck of money. Attaching the strap of the bell to the wallet, then causing to make a ting. The sound of bell cause luck of money and to keep out of harm’s way. The sound of bell causes a luck of money and to keep out of harm’s way.